In a perfect world we could buy and sell all music as notation files that opened on any device and we could edit and adapt these works however we need for our ensembles all while fairly compensating the composers and arrangers of these works. Well, this is all now possible! 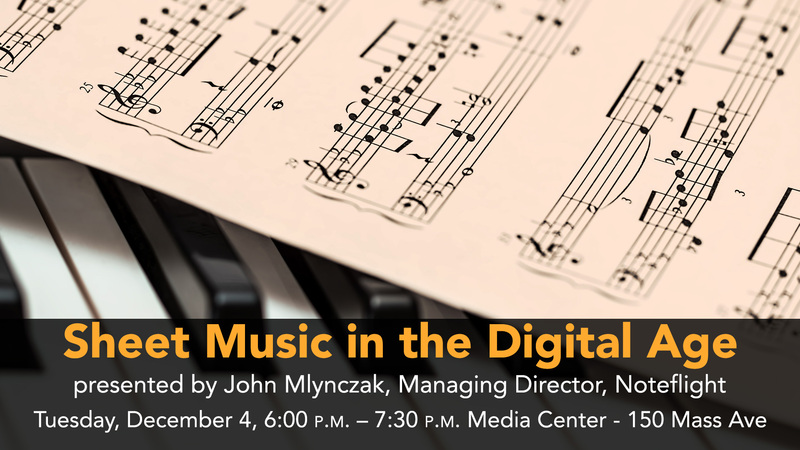 This session will explore how digital sheet music and self publishing programs are working toward a revolutionary new approach to buying and selling music online. Founded in 2008 and headquartered in Boston, MA, Noteflight, LLC is dedicated to reinventing the way people create, share and use written music. Noteflight allows users to edit, display, playback and share music notation in a web browser, on any device. Noteflight has an active online community of over 3,000,000 music enthusiasts. Its website hosts millions of user-created musical scores, both public and private. Noteflight addresses both individual music-makers and music educators at all levels with its family of products, available by online subscription. Noteflight also licenses its technology to industry leaders to manage scalable cloud-based repositories of sheet music that can be delivered to any device.